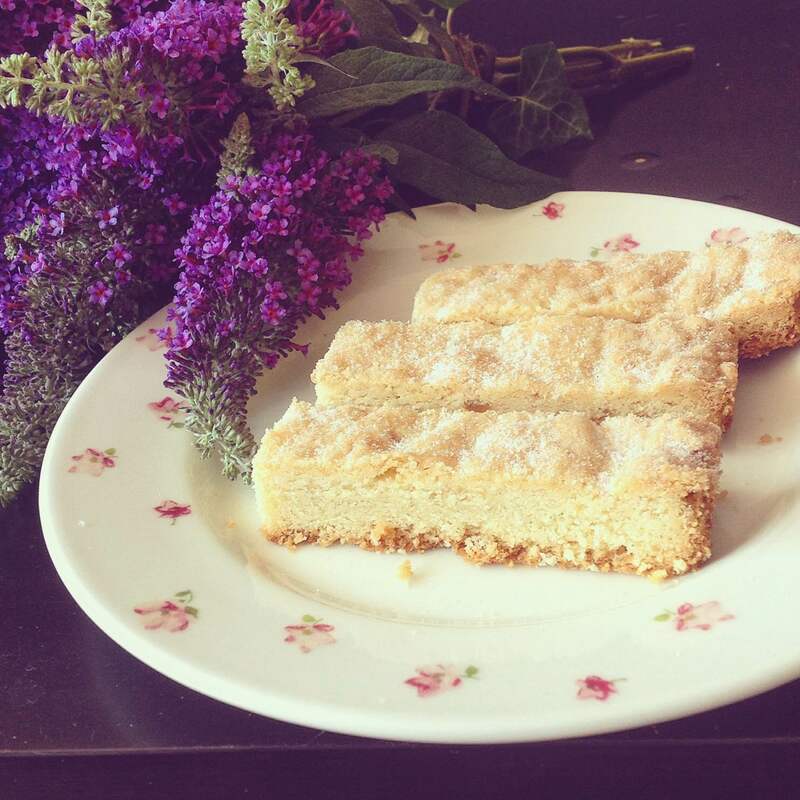 This shortbread is one of my favourite things to bake when I have guests coming round! It can be mixed up in under 15 minutes and baked in around 30 – 40 minutes. In my personal opinion, there are few things in the world that smell better than these little biscuits baking. They are a guaranteed crowd pleaser too! If you like your biscuits particularly fiery then feel free to double the amount of crystallized ginger. If you find that the mixture is too sticky, add a tablespoon of plain flour. You can spoon the dough into one tin and cut into bars when they have cooled, or you can roll the dough out and cut out biscuit shapes. If you do the latter, then I would recommend reducing the cooking time by about ten minutes or until the biscuits are a very light golden brown. Shortbread always looks rather pale in comparison to other biscuits, but don’t fear – this is normal! The biscuits are also quite soft when you take them out, and will harden whilst cooling. They will last for about 4 days in a container, they may last longer – in my house, they get gobbled up so quickly! I never get a chance to test how long they will actually store for! Line a square 7 inch cake tin with baking paper. Preheat the oven to gas mark 4. In a large mixing bowl, cream together the softened butter and sugar until soft and fluffy. Add the vanilla powder, ginger, lemon juice, lemong zest, salt and flour. Stir until you have a soft, silky dough. If the mixture is overly wet and sticky, add a tablespoon of flour and mix until you have achieved the desired consistency. Press the mixture into the tin. OR roll out and cut into shapes and lay on a flat tray. Bake for about 30 – 40 minutes, checking half way through to make sure the biscuit is not burning. If making individual biscuits, the baking process will take less time – be sure to check after around 25 minutes! Once cooked, brush with sugar/sweetner and leave to cool. Once cool, slice into bars and serve! The perfect addition to afternoon tea, picnics, lunches, elevenses – these biscuits are just so yummy! I hope you enjoy making this recipe! Happy Friday everyone! Posted on July 24, 2015 January 7, 2016 by TinaManahaiPosted in RecipeTagged 2015, bake, baking, biscuit, biscuits, gettingreadyforGBBO, shortbread, Vegetarian.